Xiaomi Phones of 2015 That Took the Market by Storm! Xiaomi has quickly come to the top position in China and is now aiming at world dominance when it comes to mobile technology. They have pioneered in offering users state of the art phones with top notch specifications at very reasonable prices compared to the hefty prices charged by other tech companies such as Samsung and Motorola. This has made Xiaomi a popular name in India and 2015 saw a tremendous sale of Xiaomi phones in the market. You too can pick a great Xiaomi model using amazon coupons at even better prices. The phone comes with a stunning 5 inch IPS touch screen offering stunning visual display. The phone has a ppi of 441 bringing out every color helping you enjoy excellent graphics. The phone runs on a stunning 2.5GHz processor and comes with a 3GB RAM making it quite seamless and powerful designed for multitasking. The phone also has a 13MP primary camera with autofocus and LED flash and an equally impressive 8MP front camera to take endless selfies. It comes with 64GB memory and even though it doesn’t have an expandable memory, it should suffice. The phone is quite a powerhouse of performance and definitely worth the money. The phone boasts of a full HD 5 inch IPS touch screen with a resolution of 1080 x 1920. The phone comes with Corning Gorilla Glass 3 protection making it scratch proof. The internals are quite powerful too thanks to a 2.3GHz Quad Core processor and a 2GB RAM for fluid usage. The phone comes with a 13 MP primary camera with dual LED as well as autofocus. It also has a 2 MP front facing camera for great selfies. The phone comes with an internal memory of 16 GB and has quite a good battery life thanks to its 3050 mAh battery which can keep it going for hours on end. The Note 4G has been selling like hot commodity over the internet as it offers unmatchable features at great rates. You can order this phone using flipkart coupons at even better prices. You will find a 5.5 inch stunning IPS screen with resolution of 720x 1280. The phone has a 1.6GHz Quad Core Processor and a 2GB RAM making working on it smooth like butter. It has an internal memory of 8GB which can be expanded to 64 GB. It has an excellent 13MP primary camera and even more stunning 5 MP front camera for perfect selfies. It runs on a 3000 mAh battery giving it great battery life. The Mi4i is yet another flagship model from the amazing company offering some really good specs and features. The phone comes with a 5 inch Full HD Display with 441 ppi and resolution of 1080 x 1920. The phone is powered by a 1.7 Quad Core processor making it super fast and is also backed up by a 2GB RAM. The phone has an internal memory of 16 GB which cannot be expanded which might be its only limitation. As for cameras, the phone has a 13 MP rear camera with Dual Color LED and Digital Zoom and a 5 MP front camera for great group shots. The phone is powered by a 3120 mAh battery for extended battery use. 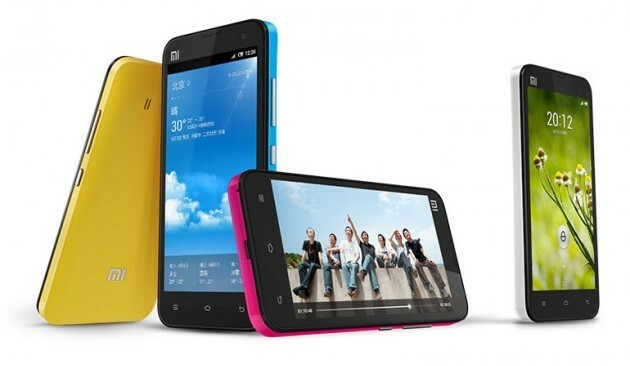 The Xiaomi Redmi 2 Prime is a 4.7 inch HD smartphone with a resolution of 720 x 1280. The phone runs on a powerful 1.2GHz Quad Core Processor and a 2GB RAM. This makes working on this phone very easy and fluid. As for the internal memory, it comes with 16GB internal memory which can be expanded up to 32GB through a micro SD Card. The camera on offer is a 8MP primary shooter and a 2MP secondary shooter capturing stunning photos. The phone runs on an impressively-Po battery of 2200 mAh helping it give a good battery life as well. Be sure to check out these Xiaomi phones and keep an eye out for upcoming models as the Xiaomi phones truly are here to stay!